Kids STEM activities has become a very popular topic. Encouraging kids to think, explore, problem solve, and create is a crucial backbone to education that some kids might miss out on today. A wonderful group of bloggers has come together to bring you tons of ideas for kids STEM activities in this A-Z series featuring neat ideas for each letter of the alphabet. You will find different age ranges too. Make sure to start with our What Is STEM article to familiarize yourself with STEM! We have enjoyed science experiments and activities here for the past year and have now branched into the wonderful world of STEM. 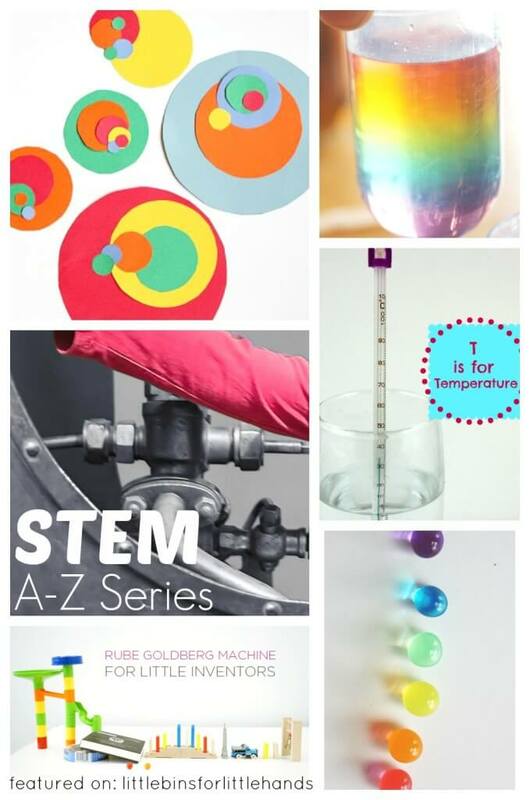 Join us all of January as many wonderful bloggers share awesome kids STEM activities! Follow along as we work our way through the alphabet of great kids STEM activities perfect for home or school. These kids STEM activities will be specifically geared for preschool through early elementary ages, but make sure to see how you could tailor the ideas to fit your needs! Each letter of the alphabet will be represented with a different STEM activity for science, technology, engineering, and math. By the end of the month, you will have an amazing resource to use with your students and/or children! Each day check back for the latest idea and to catch up on any kids STEM activities you might have missed. Make sure to bookmark and pin this for later too. 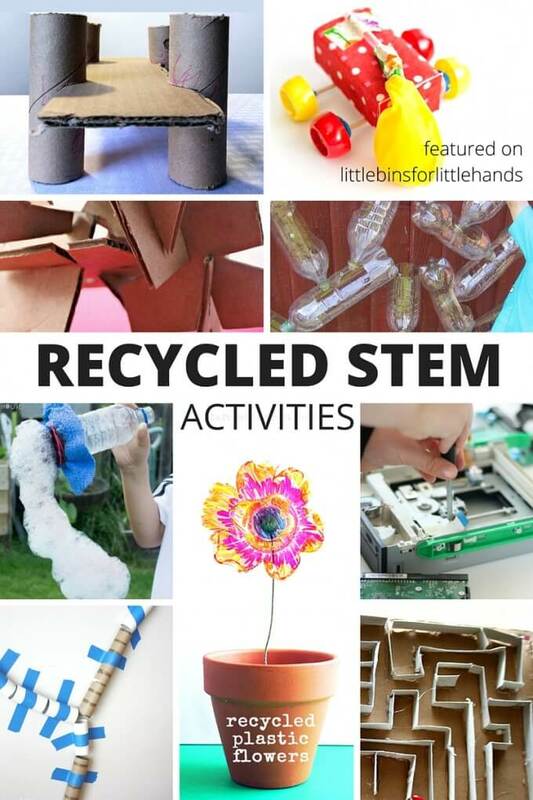 Add kids STEM activities to your learning and play time with all of these amazing ideas! Fibonacci | What Do We Do All Day? Math Art | What Do We Do All Day? I hope you find many new kids STEM activities to enjoy this year! Bring the wonder of STEM to your kids this year. I am excited for this series! Math is ready to incorporate into almost anything, but the other 3 categories are more difficult to include. I’m glad you are doing this in one month. We are working on the letter t, but can review other letters until you get there. Thanks for posting! This is such a great resource. We had fun participating. Thank you for hosting. Thank you! So many great ideas from great bloggers!